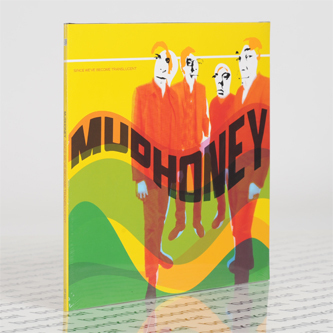 **Includes free download code redeemable form the label** "Re-issue on vinyl of a long out of print Mudhoney album. For those of you who may have forgotten, Mudhoney are a four-piece rock group from the old, weird Seattle. For 27 years they have plugged into wall sockets all over the world, proving to be one of the most consistently electrifying acts to survive the grunge implosion, whatever that was. The wolfish howls of singer Mark Arm, soulful splatterings of guitarist Steve Turner and frenzied fills of drummer Dan Peters have produced nine albums to date, most of which are considered neogarage classics. In addition, they have had two bassists over the years - Matt Lukin, who retired in 1999, later replaced by the inimitable Australian Guy Maddison. 2002’s ‘Since We’ve Become Translucent’ was the first Mudhoney record to not include Matt Lukin on bass. Bass duties were ably taken up by Guy Maddison, formerly of Bloodloss and Lubricated Goat."